Our vast selection – When it comes to furniture stores, Ohio may have many to choose from but few with as wide a variety as we have to offer. Whether you need a single item for the bedroom or your entire home furnished inside and out, we have what you need at Amish Originals Furniture Co. Even if you are looking for furniture for your patio or home office, you can find it all here under one roof. Superior quality – At Amish Originals Furniture Co., we take pride in working with more than 70 families in the Amish communities in and around Northern Ohio. This means that every single piece of furniture we offer is made with the best materials, craftsmanship and focus on every last detail. The labor invested in each piece is learned from generations of families working together. Customer service – Another thing that separates us from other furniture stores Ohio has to offer is our top-notch customer service. Our bottom line is not making the sale; it is seeing the customer satisfied. Our focus remains the customer experience, the same as it was when we first opened our doors more than 20 years ago. Whether you know what you want or need assistance understanding your options and making a decision, our courteous and knowledgeable staff is ready to help. Competitive pricing – When it comes to shopping for furniture, would you rather pay too much but love what you get or pay less for pieces that aren’t up to your standards? 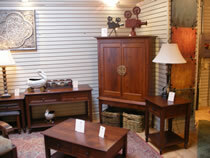 At Amish Originals Furniture Co., you don’t have to choose one or the other. Get furniture you love that’s the best quality all for a price you can easily fit into your budget. You could just be starting out in your first home or bringing a new look to the home you have always had. The key is that the right furniture helps complete the look. It also helps you finally feel as though your house is actually a home, a place where family and friends can relax and feel comfortable. One of the best ways to do this is to choose the right furniture and décor for your home. Even for those who wish they could afford to remodel but can’t quite seem to find the extra money, adding new furniture can make all of the difference. The bottom line is that if you don’t already love the look and feel of your home, it’s time to see what Amish Originals Furniture Co., can do to make that change. Even if what other furniture stores Columbus Ohio has to offer left you frustrated, try taking a new look at what we have in store for you and your home.